Types of insurance include property and casualty, life, health, disability, and long-term care insurance. Many insurance agents also sell investment products, such as mutual funds, variable annuities, and other securities. In 2017, they earned a median annual salary of $49,710 and hourly wages of $23.90. Just over 386,320 people were employed as insurance agents in 2017. Most are independent agents who work for insurance agencies and brokerages, while others are captive agents employed by insurance carriers. Most jobs are full-time positions. The job outlook for insurance agents is good. The U.S. Bureau of Labor Statistics predicts that employment will grow about 10 percent, which is faster than the average for all occupations through 2026. "Provide leads, schedule appointments, identify client needs, and market appropriate products"
"Close the sale on current prospects"
"Meet new business production goals and objectives as established"
"Provide prompt, accurate, and friendly customer support"
"Support sales staff with inputting quotes and working renewals"
"Be a team player that wants to be a part of something bigger than just his/her job"
Employers prefer to hire insurance agents who have college degrees, particularly in business or economics. They might consider hiring a high school graduate who has proven sales ability. Every state requires insurance agents to be licensed. They need separate licenses to sell life and health insurance or property and casualty insurance. In most states, sales agents must complete pre-licensing courses and pass state examinations. Listening Skills: In order to understand your clients' needs, you need excellent listening skills. Reading Comprehension: You must be able to understand written documents describing insurance instruments. Verbal Communication: Insurance agents have to convey information about the products they sell. 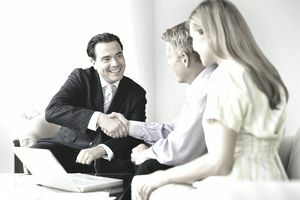 Interpersonal Skills: Your ability to sell policies depends on your relationships with other people. You must be able to establish a good rapport with potential clients, understand their needs and persuade them to give you their business. "Strong computer skills (Outlook, Word, Excel, agency management software, quoting software)"
"Enthusiastic about the role that insurance and financial products play in members' everyday lives"
"Possess a genuine willingness to learn, be intuitive and resourceful and be coachable"
"Must be organized, able to multi-task, and efficient"
"Must be aggressive/assertive, a self-starter, and able to influence others"
Bureau of Labor Statistics, U.S. Department of Labor, Occupational Outlook Handbook, 2016-17.